We are open to the public on Friday from 12 Noon to 8 pm, and on Saturday and Sunday from 10 am to 8 pm. (Note: Entry is restricted at the Alaska and Broad entrance at 7:30 PM nightly) Seattle Hempfest takes place on three beautiful downtown Seattle, water front parks, Olympic Sculpture Park, Myrtle Edwards Park, & Centennial Park. Admission to Seattle HEMPFEST® protestival is free- but free speech is not! It costs over $700,000 to produce Seattle HEMPFEST® each year and without your donations we would not exist. Suggested donation is $10. Please remember donate what you can and keep Hempfest alive! Our new NO WAIT entrance, The West Thomas Street Pedestrian and Bicycle Overpass, at 300 3rd Ave W, Seattle Wa 98119. This is accessible at 3rd Ave W & W Harris Streets just north of Seattle Center. This new entrance has great parking potential being just 4 blocks north of Key Arena. It’ll take you across the busy Elliot & Western Avenues, and drop you right in Main Stage! Take The West Thomas Street Pedestrian and Bicycle Overpass! The entrance to Centennial Park is only accessible by taking the Helix Pedestrian Bridge at 1111 Elliott Ave W, Seattle Wa 98119. this entrance takes you right to the Hi Tunes Music Village and the Seeley Black Stages. The is the simplest and fastest way into Seattle Hempfest. It has an elevator and is wheelchair accessible. The following Metro routes stop nearby: 15, 18, 19, 24, 33, 81. By far, you will find the longest lines & wait times at the Olympic Sculpture Park entrance at 3130 Alaskan Way Seattle, Wa 98121 Please just walk a few blocks up to the West Thomas Street Overpass entrance at 300 3rd Ave W and walk right in instead of waiting is this long, slow line! Don’t leave your dog in your car! On warm days cars can turn into lethal ovens, reaching fatal temperatures of more than 100 degrees within just a few minutes. 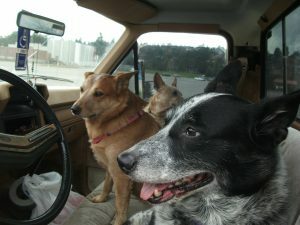 A new Washington law is now in effect making it a violation to leave an animal unattended in a vehicle or enclosed space if the animal could be harmed or killed by exposure to excessive heat or cold, lack of ventilation, or lack of water. Penalties under this new law are in addition to potential animal cruelty charges. Accommodations: Get the best deals on hotels, Airbnb’s, Villas, & more! Find Out Who’s Vending! Browse our Vendor Directory and plan your Hempfest adventure! Getting to Hempfest: Find the right bus, ferry, directions, etc to Hempfest. Lost & Found: Loose something at Hempfest? Find something at Hempfest? Here’s what to do! Rules: Rules, we gotta have them!